Sunroof, Leather Seats, Cooled Seats, Class III Trailer Tow Package, 20 inch Aluminum Wheels! This magnetic metallic SUV has an automatic transmission and is powered by a 290HP 3.5L V6 Cylinder Engine. Our Explorer's trim level is Limited. Upgrade to this Explorer Limited to add a luxurious touch to your SUV. It comes with leather seats which are heated and cooled in front, a heated leather steering wheel with audio and cruise control, SYNC 3 with Bluetooth, SiriusXM, and satellite navigation, remote start, a rearview camera, a power liftgate, aluminum wheels, a power sunroof, a sporty appearance package, and more. 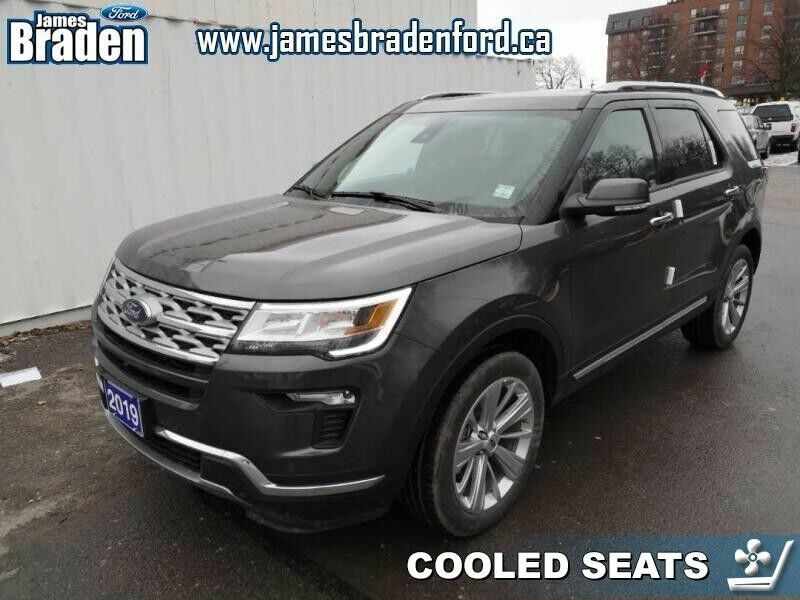 This vehicle has been upgraded with the following features: Sunroof, Leather Seats, Cooled Seats, Class Iii Trailer Tow Package, 20 Inch Aluminum Wheels, Inflatable Rear Safety Belts, Safe And Smart Package.